Earlier this month, the ITER Project received a giant boost from its largest partner and host member, the European Union (EU). On 2 May, the European Commission issued its budget proposal for 2021-2027, referred to as the "Multiannual Financial Framework". The proposal gives ITER its unequivocal support, both in the commitment of EUR 6.07 billion over the next seven-year budget cycle, and in the supporting narrative. The key sentence is relatively simple: "The EU budget will ... continue to fund Europe's contribution to the development of the ... ITER project to develop a viable source of safe and environmentally friendly energy for the future." But reading through the full document (see the Communication here, and the Annex here), three additional aspects of the proposal are especially striking. First, the Commission considers ITER to be on track for success. In some ways, this could be anticipated based on the April 2017 endorsement by the European Commission's Energy Directorate, and more recently by the April 2018 statement issued by the Council of Ministers. But to see the endorsement of the full budget, in black-and-white, is still more reassuring. Third, the Commission sees ITER as dovetailing nicely with the EU's overall research and innovation outlook. The ITER Project is placed under the same budget category as the EU's flagship program, "Horizon Europe"—under which an even EUR 100 billion is centred on three pillars: Open Science, Global Challenges and Industrial Competitiveness, and Open Innovation. While ITER is a separate budget line, the proposal articulates how ITER is complementary to and synergistic with these goals. Now that the Commission has proposed the Multiannual Financial Framework for 2021-2027, the European Council and the European Parliament will have time for debate. The timeline for those discussions can vary; there is no clear final deadline for the budget decision. 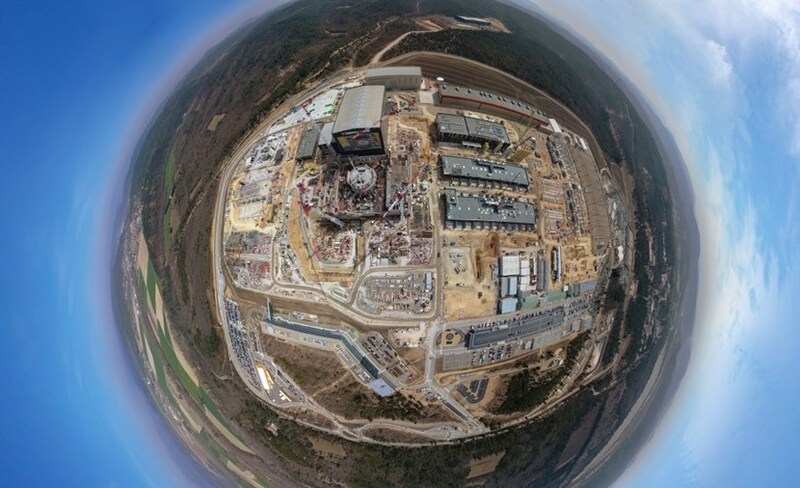 But since Europe is both ITER's host and its biggest partner, contributing 45 percent of the project's funding, the Commission's proposal as issued represents the strongest endorsement of ITER to date.